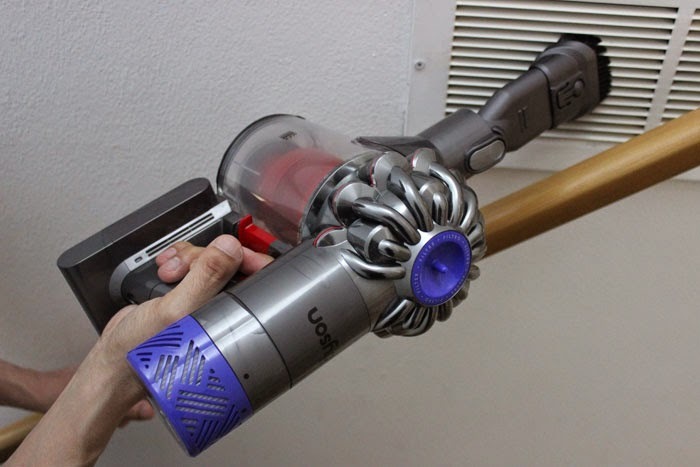 House Proud With Dyson | Cleaning Up In a Hurry! In every home there's a few places that everyone tends to avoid during cleaning patrol. High, hard to reach inset window ledges, awkward heating vents in the stairwell or even above the door. You know, the places where we say the grapes really are too high, and they would have been sour anyway, so we just kinda overlook them. But every once in a while —the coming of spring or when company comes, we really need to clean up those long lost places (and sometimes in a hurry)! The DysonV6 Absolute is perfect for places like this. 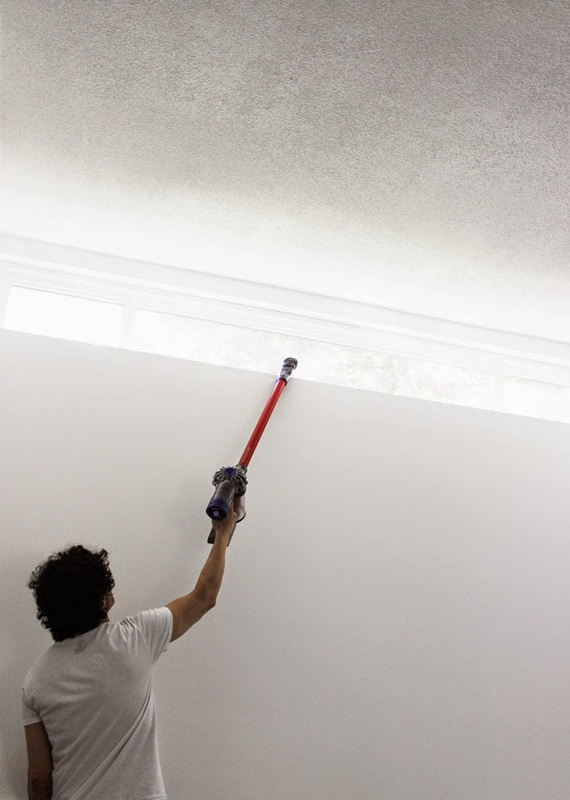 With it's extra long arm, and brush attachment, reaching up to our 20 foot window sill is a breeze and because it's cordless and portable, it's super easy to move around. 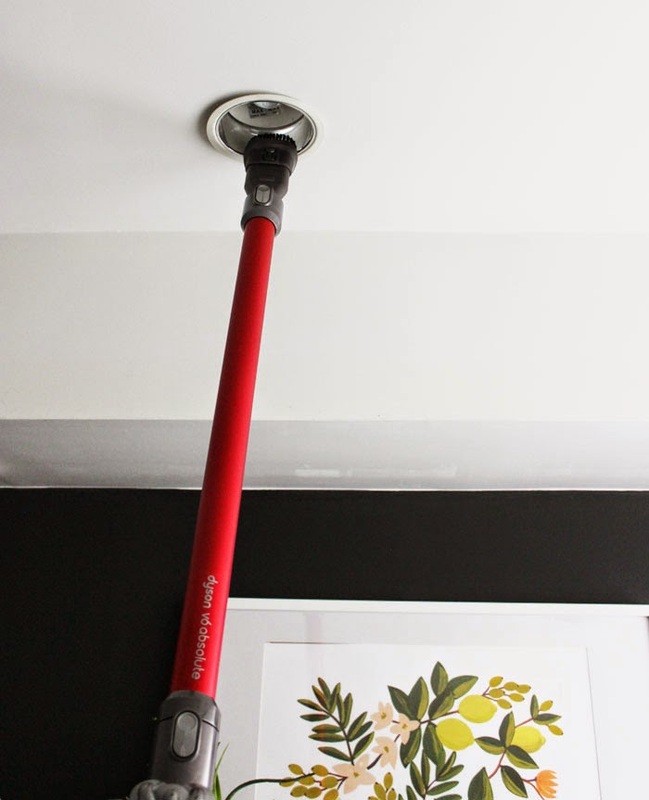 We also love the brush for getting into the vent grills and above door frames. 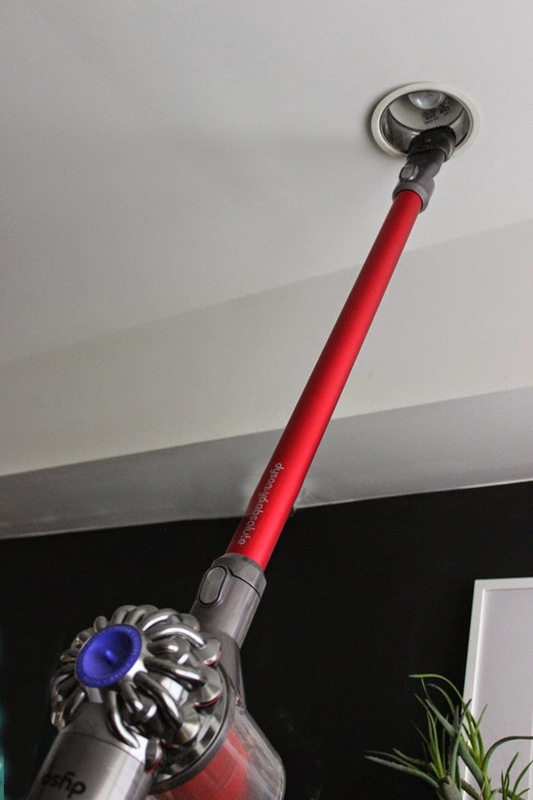 It also works great for cleaning cob webs in hard to reach corners or around things like pot lights. With just a flick of a switch cleaning is a breeze, just in time for those spur-of-the-moment visitors. More info on the DysonV6 Absolute can be found here.